The game against Cardiff was like watching Arsenal from a few years ago. 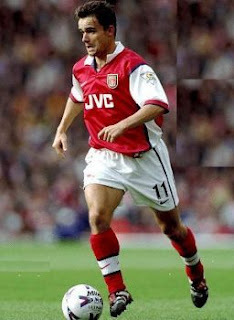 At first it was Overmars and Anelka who would add not only width but pace in the attacks. All the midfield players had to do was to find them with their penetrative balls and all they had to do was to time their runs behind the opponent’s defence. This type of play was copied again when Henry and Ljumberg were at their peak. But ever since these players lost their edge Arsenal have not really played in that mode again. Part of the reason is that the right players have not been available up front or on the wings. Adebayor and Van Persie are different kind of players. They like to hold the ball and play other players in. More importantly so is Fabregas through whom almost all of Arsenal’s attacks go through. Gone are the days when “wham bam thank you very much” were the order of the day. But against Cardiff we were so pleasantly surprised. The ball was moving at great speed from defence, after a Cardiff attack or from a corner kick, to Arsenal’s forwards in a matter of seconds. The midfield players, Song and Denilson, were passing the ball almost immediately rather than holding onto it and trying to dictate play. But more importantly Arsenal had the players with pace to make it happen. Eduardo is not one for hanging about and Vela in particular used his pace on the ball to penetrate deep into Cardiff’s wide areas. And it this combination that created Eduardo’s first goal. Sagna and Gibbs were also more forward minded than in a lot of games recently adding that necessary width that has been missing. The other pleasant change compared to almost all of Arsenal’s games this season was the speed of the passing and pressing for the ball right from the first minute. We have not really witnessed such hunger and determination so early in a game. Rather the team has been lethargic and slow paced to start games only to pick up speed in the second half. Long this attitude and style of play may continue. Pace, trickery and creativity will soon be in abundance with Eduardo back in the fold and the speed and trickery of Arshavin and Walcott soon to be added to the first team squad. And with these players around I am sure Fabregas will be releasing that ball a lot earlier than before. Clichy didn't play. Everything else is spot on though. You clearly didnt watch the game. Gibbs played instead of Clichy. i too thought that we started the game at a pace. I dont really know why this happened now and not before... Really why did this happen now?? It almost looked like we played a 4-3-3 that turned into a 4-5-1 when defending. Vela's performance made me wonder how we were lined up. It was impressive. They are just numbers - I know - but it's possible Arsene fielded a side from the start that looks alot like what we've been seeing in the last 20-30 minutes of recent home games when we've struggled. With Nasri in a very free role. Or perhaps it was a regular 4-4-2, but Vela had a very high position which almost made him look like another striker. I hope Wenger sticks by this tactic, because I can't see Sunderland doing much better than Cardiff did at Ashburton. 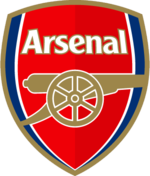 I'm not in agreement in the fact Arsenal changed their style. Arsenal were back to the fluent best, playing the best they have played for quite a while. Eduardo was inspirational not just in his goalscoring; his link up play was superb while his movement with the other three attacking players seemed like Arsenal were playing a 4-2-4. Interchanging positions grabbed players out of their positions and allowed us to take advantage of vacant spaces. There was great fluidity and interchangeability between the forward players while Song and Denilson, who was more demanding of the ball were the defensive shield that allowed the front men to play. In fact Vela and Bendtner didn’t have to track back much such was Arsenal’s dominance in the first half but by pressuring high as in Total football pressuring, denied the Cardiff full backs the chance to get forward. we could start fantasize winning all remaining matches and may just save the season!